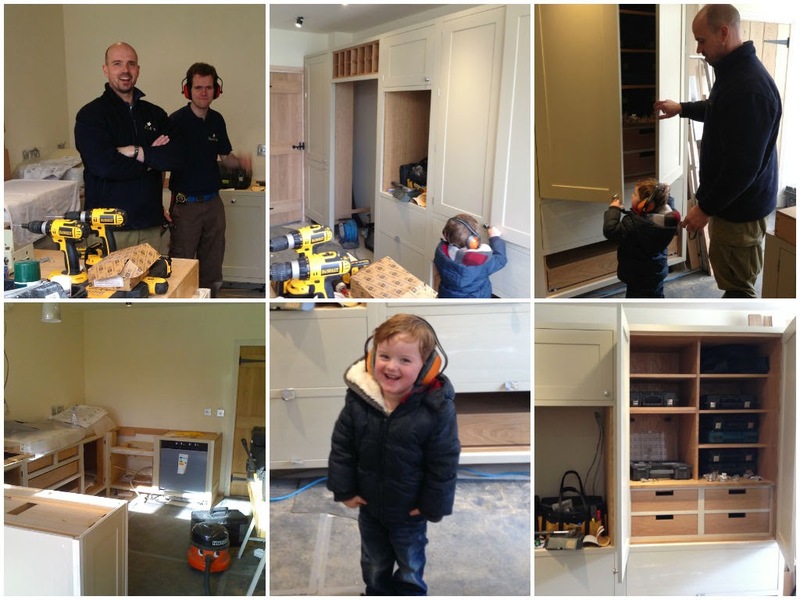 Some of the guys have been on site fitting a kitchen just outside Reading this week and today a special little boy popped in to offer them a helping hand. 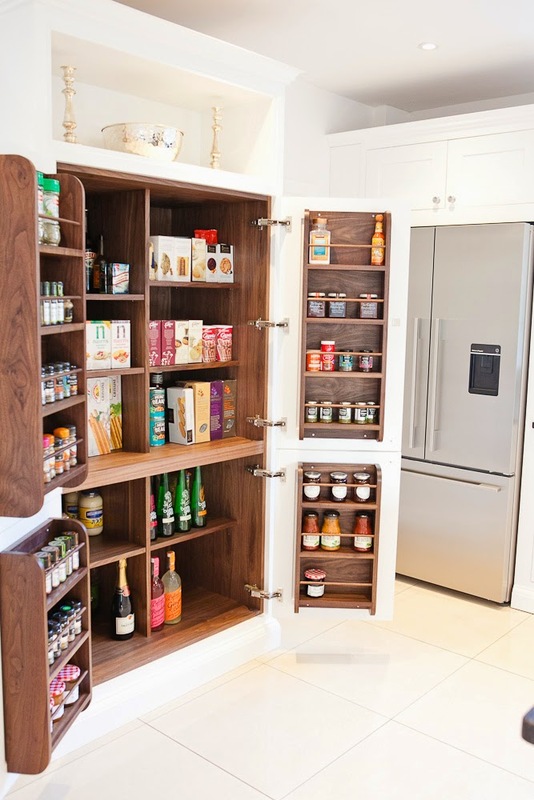 The ear defenders were a big hit and opening and closing the larder doors proved to be the most entertaining part of his visit! 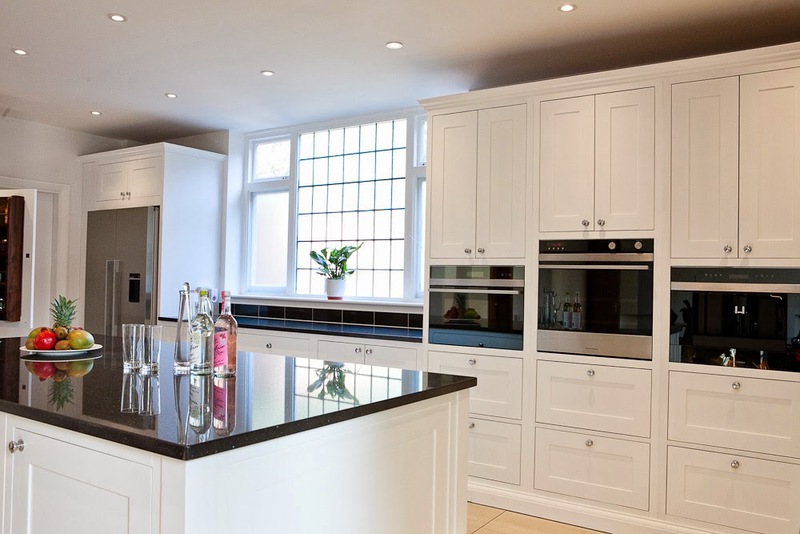 We had the pleasure of making this beautiful kitchen for a lovely family in Pyrford earlier in the year. 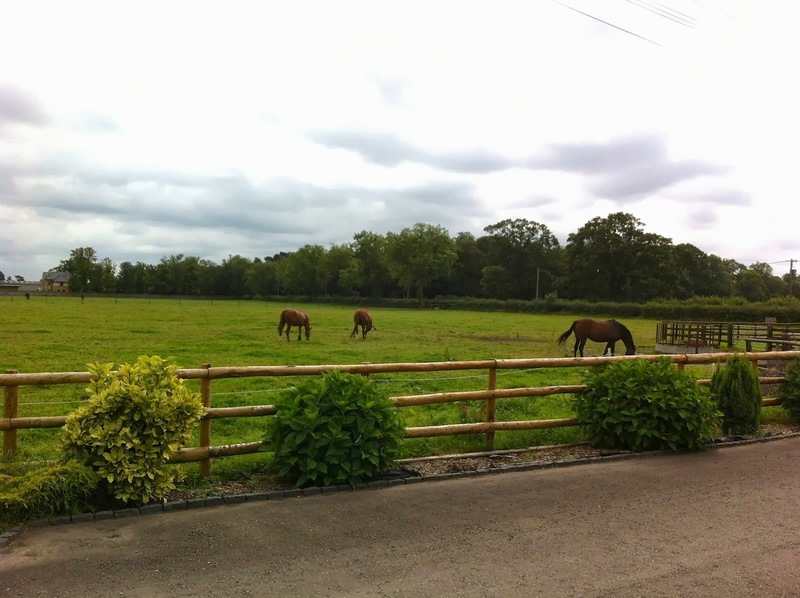 The whole process was so enjoyable and we were really grateful for their positive feedback. 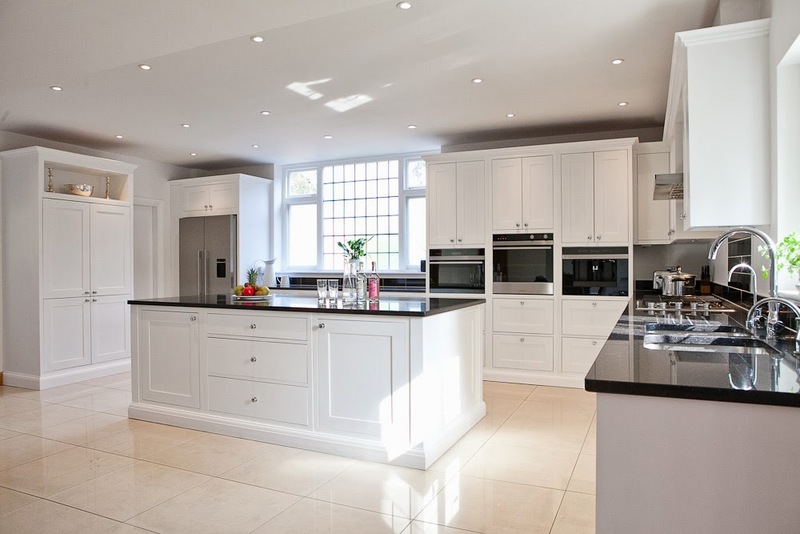 The kitchen is an in frame “shaker style” with painted solid tulip wood doors and walnut interiors. 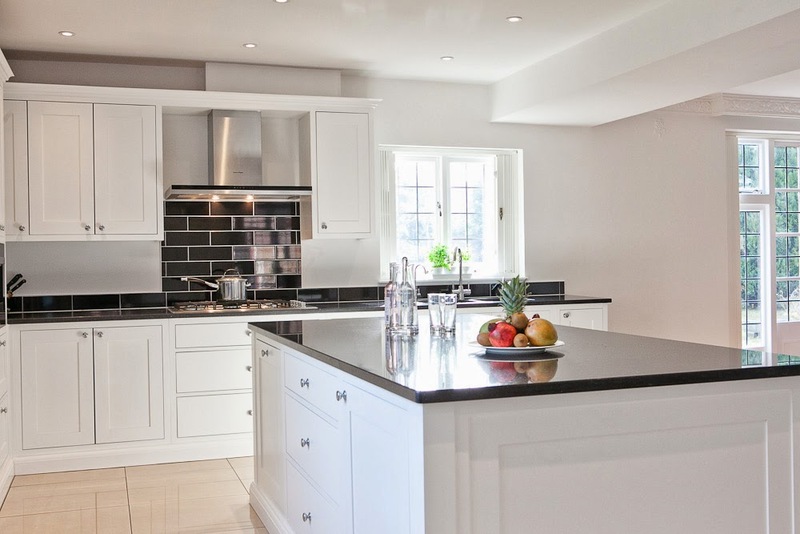 The cabinetry is painted in The Little Greene’s “Shirting” and the worktop is “Stargate” 30 mm thick granite with black tile upstand and splashback. 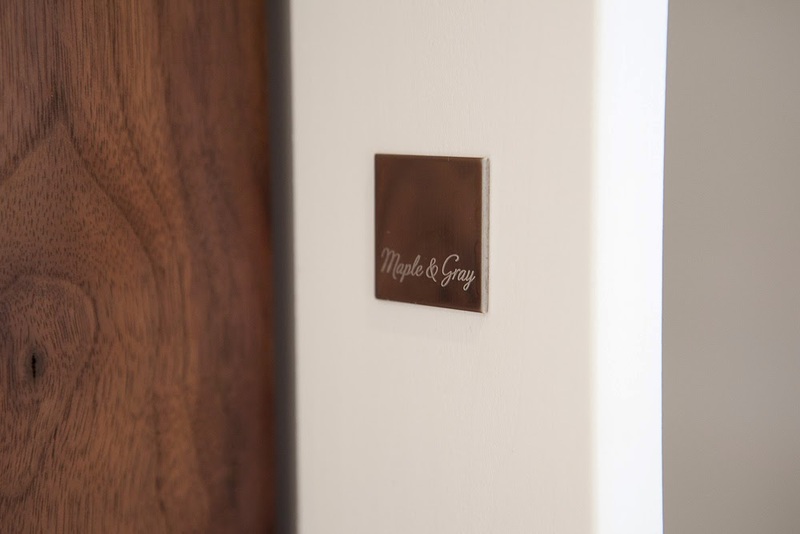 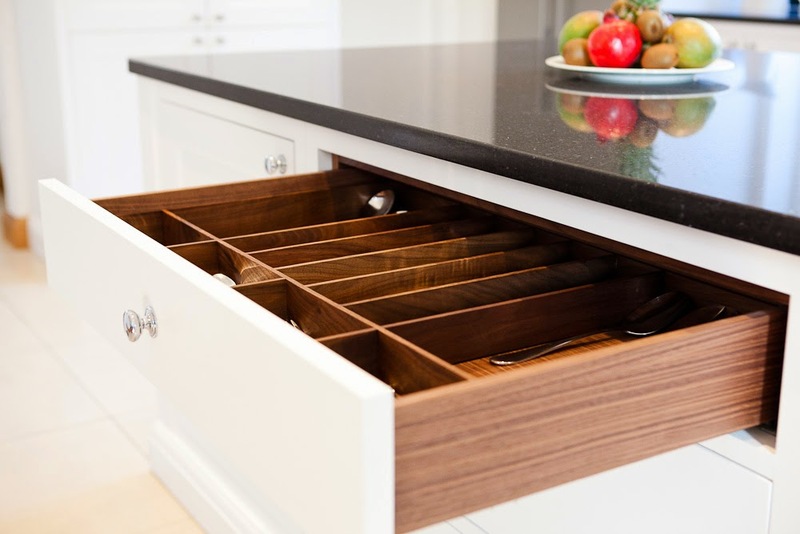 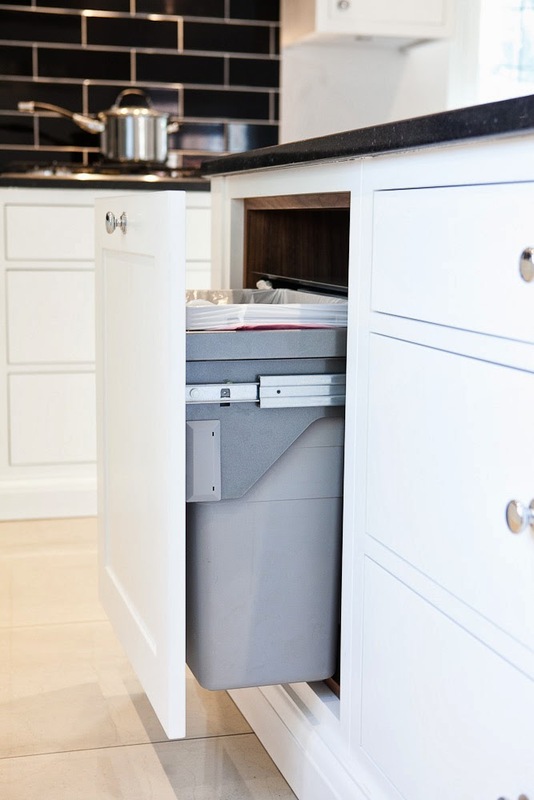 All doors and drawers are fitted with soft close mechanisms. 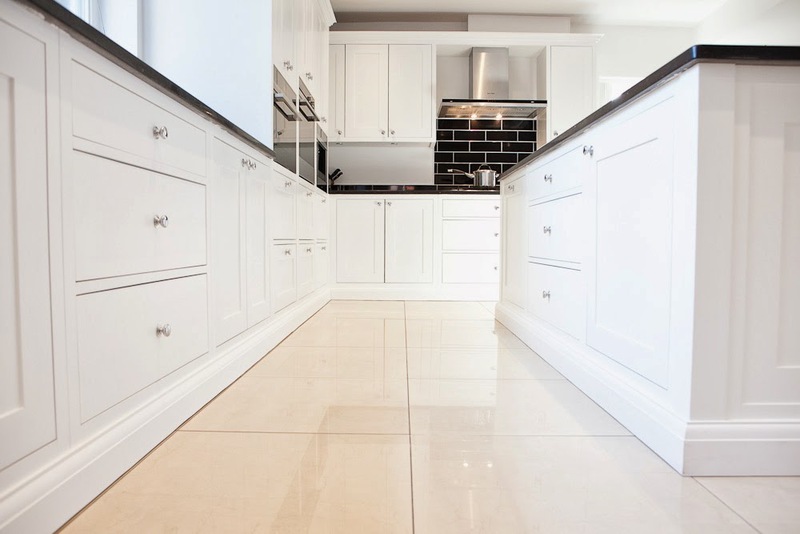 The kitchen has a skirting around all the lower cabinetry rather than a more traditional kick board and all the doors and drawers are fitted with polished chrome knobs. 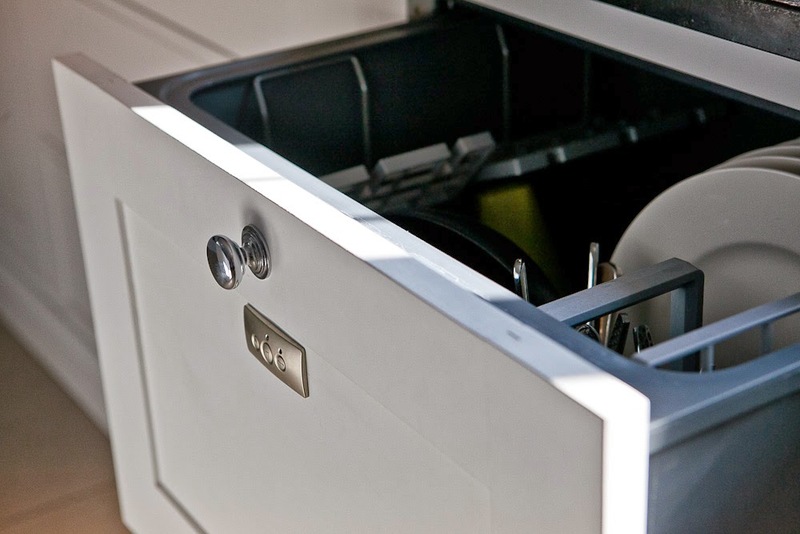 The kitchen has a striking stainless steel American style fridge with lower freezer drawer. 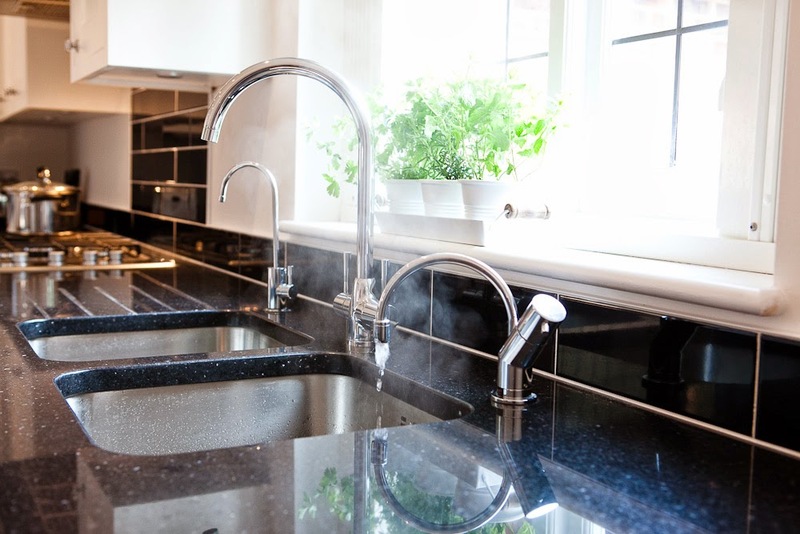 All appliances are Fisher Paykel including the microwave, oven, coffee machine, dishwasher, hob and extractor. 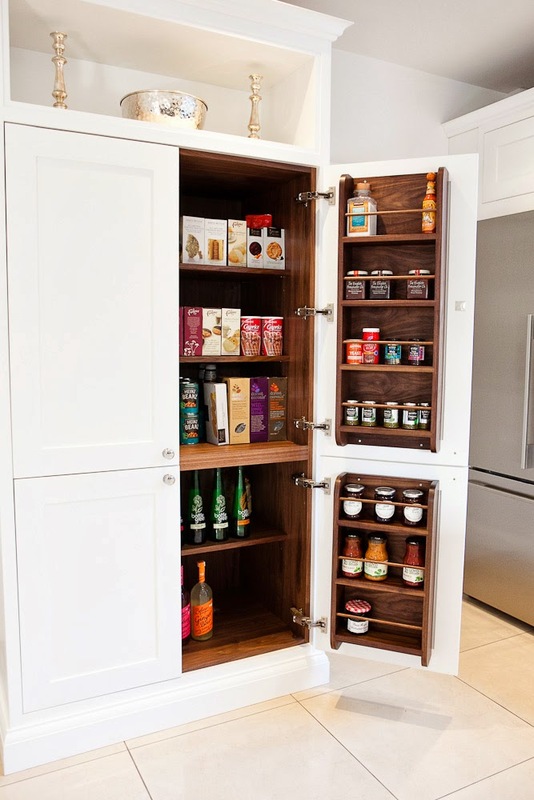 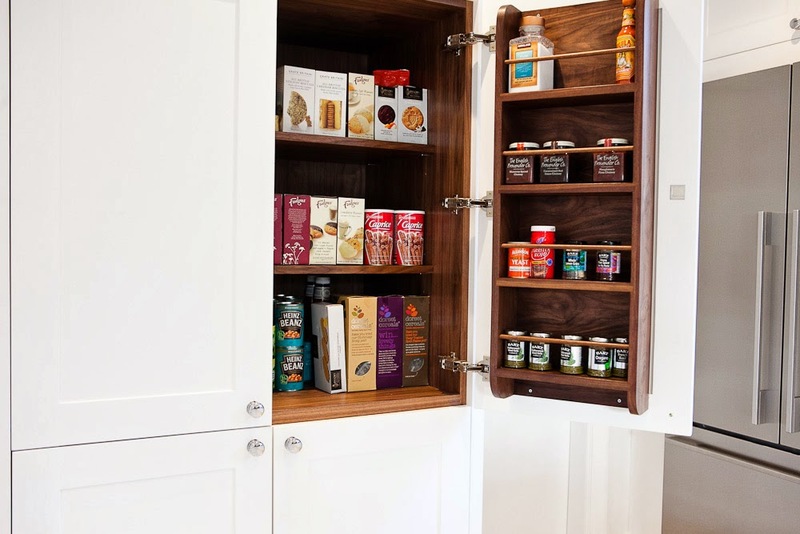 The larder is completely bespoke and designed to the clients exact requirements with upper open shelving and 4 solid walnut spice racks mounted to the interior of the doors. 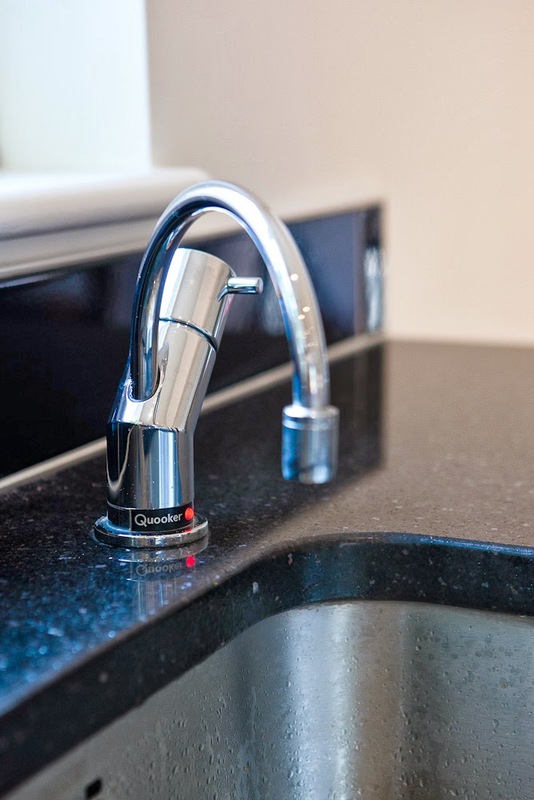 The kitchen has a Blanco sink, tap and filter tap as well as a Quooker hot tap. 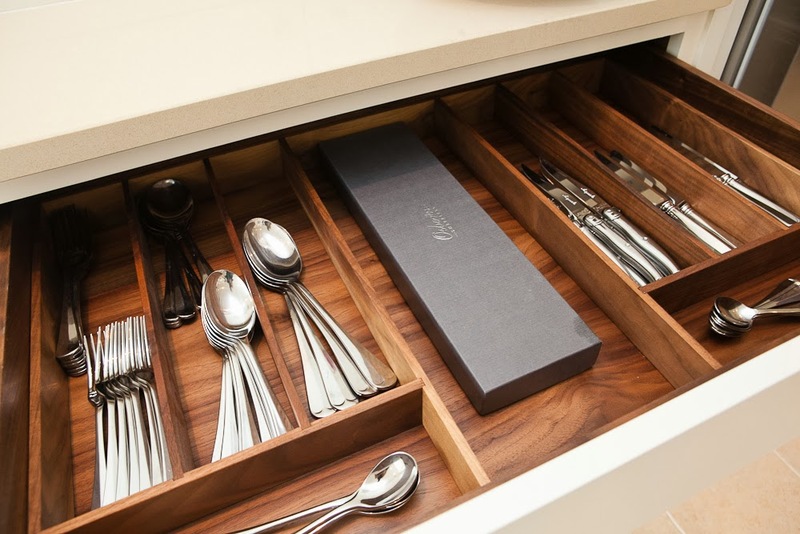 All our kitchens include hand make solid cutlery trays. 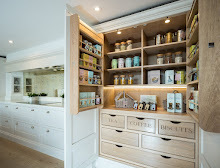 We'd like to say a massive thank you to Louise Bushell Photography for our incredible photos!